At Exablaze, our primary focus is on building the highest performing, lowest latency networking products on the market. We've demonstrated this with our ultra-low latency ExaNIC X10, X40 and ExaLINK Fusion FastMux products. The problem with building ultra-low latency network products is, how do you measure them? The ExaLINK Fusion FastMux has a minimum latency of just 39ns. Traditional measurement and capture devices (including the ExaNIC X10) have measurement resolutions of 5-10ns. This gives an unacceptable error range. To overcome this problem, we invented the ExaNIC HPT, which offers a resolution of 0.25ns (250 picoseconds!). In the video series below we explain a reliable methodology for picosecond scale measurement of nanosecond scale networks. 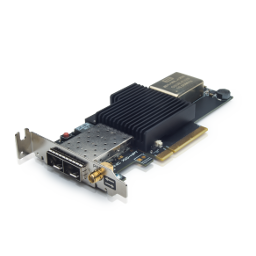 In the first instalment, we look at quantifying network measurement precision and accuracy using a range of network capture cards. The aim is to establish a bound on the quality of measurements that can be taken in nanosecond scale networks using standard, commodity network capture devices. 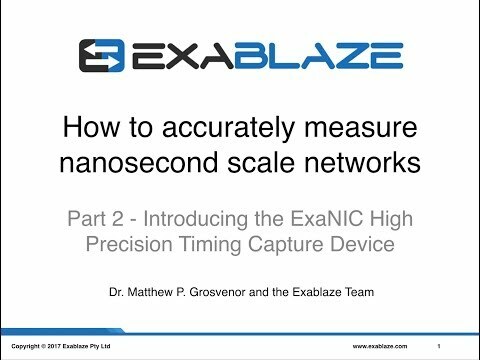 In the second part, we introduce and calibrate the ExaNIC HPT, our high precision and high accuracy network capture card with 0.25ns resolution. Because of the extreme accuracy of this device, we develop a new and novel methodology for characterising it. In this third part, we explore how not to do nanosecond scale network measurements. We explore some of the flaws and issues with common approaches and along the way characterize the speed of light in fibre, and AWG30/24 copper direct attach cables.